No business or industry, appears to be immune from making headlines as the next victim of a cyber-attack or a data breach. The massive breach of Equifax is only the latest in a long string of data breaches that includes a reported 95 percent of Fortune 500 companies. Government agencies including the IRS, CIA, Defense Department, Federal Office of Personnel Management and even the White House have all been hacked or had data compromised. 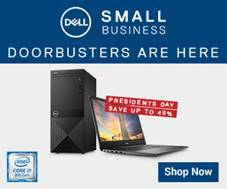 But for every large business that makes the headlines, thousands of small businesses have experienced a data breach of some kind but were never in the news. Small businesses have become attractive targets because they maintain the same type of confidential information about their customers and employees as larger companies, but they don’t have the same high-profile security measures in place. They are easy prey. If the largest of the large corporations and the massive infrastructure of the federal government can’t keep their data safe, how is a NSBA member company supposed to deal with this threat? 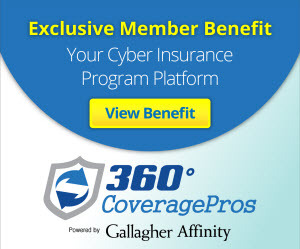 NSBA, along with 360 Coverage Pros is offering members exclusive access to a suite of cyber data breach solutions, including threat and risk assessments, ongoing monitoring and compliance options, and the increasingly necessary cyber and data breach liability insurance. These special member- only rates and programs are offered exclusively as a NSBA members benefits program. InfoSafe, a cyber compliance and protection tool, makes it simple and affordable for businesses to protect against a data breach and meet the complex compliance requirements for safeguarding customer information. Reduce your overall data breach risk and liability exposure, increase customer trust and attract new businesses by being InfoSafe Certified. Cyber and data breach liability insurance provides the critical coverage necessary to help protect NSBA members from the high costs and implications of a cyber or other type of data breach-related incident. It also helps your business comply with state and federal regulations and insures against costly fines and penalties that can be levied on a company following a breach. Cyber insurance will not protect you against an attack — but will allow you to survive one. Cyber and data breach liability insurance helps tame the significant financial hardship of a cyber-attack and/or data breach by offering coverage to help you with the costs associated with a breach event. 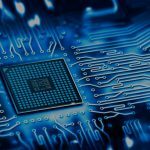 The response costs and other damages caused by a data breach or cyber-attack can be extensive and can even put a company out of business. More information on these cyber insurance and compliance tools may be found here. As a member, you can see your actual rates by simply answering a few short, online questions about your business. Each of the programs can be implemented online and put into effect within minutes. Additionally, 360 Coverage Pros is hosting a webinar for NSBA members on Thursday, Feb. 22 at 3:00 p.m. EST that will leave you equipped with a better understanding of cyber and data breaches, along with the tools necessary to prevent and respond to one. Every business is at risk. But with some basic preparation, planning and insurance coverage, a cyber-attack or data breach on your business doesn’t have to be lethal.